Have you ever tried task cards in your classroom? Task cards are a great way to practice skills and review concepts. Each card has only one problem on it, which means students can focus on just one problem at a time instead of being overwhelmed with an entire worksheet. Task cards work great as small group work during math workshop. They are also perfect for a whole class activity. Try putting them up around the room, giving the students their recording sheets and clipboards and let them wander the room looking for task cards to solve. 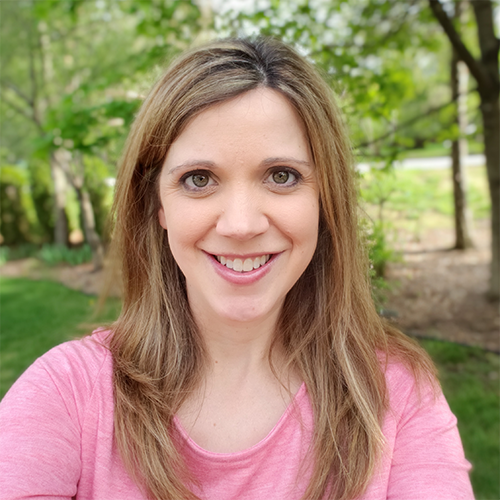 Check out this guest post that I wrote for other ways to use task cards in the classroom. 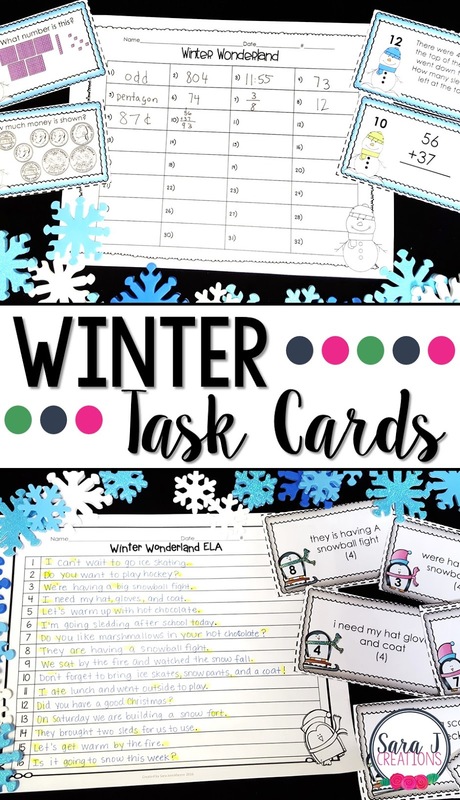 I love making task cards that can be switched out seasonally so that students are practicing different skills each month and can also answer questions related to the current season or holiday. Here is a little peak at my winter task cards. For all of the task cards that I've created, I have a math version and an ELA/literacy version. Each set comes in color and in black and white and includes 32 task cards once they are all cut apart. There is also a student recording sheet where they will put their answers and then an answer key to check their work. All of these task cards are designed for second grade but could be used in other grades depending on the content you need to teach or review. This set is a little different than my other ELA task cards in that students are correcting and rewriting messed up sentences. They are looking for 3 to 4 errors based on the above skills. Then they rewrite the sentence corrected and highlight where the mistakes were at originally. New to task cards and not sure how to make them work for you? Here are a few ways to try them out. -Review - do you have assessments after each unit? Before you give a test, use the task cards to have students review the concepts they learned. -A game - play the game Scoot with task cards as a whole class. Each student needs a recording sheet. Put one task card at each desk/spot at the table. Set a timer for an appropriate amount of time for your students to solve one problem. Have students solve the problem at their desk first. When the timer goes off, they move to the next desk and solve that problem. Continue doing this until all students have solved all the task cards. What's your favorite way to use task cards in the classroom?